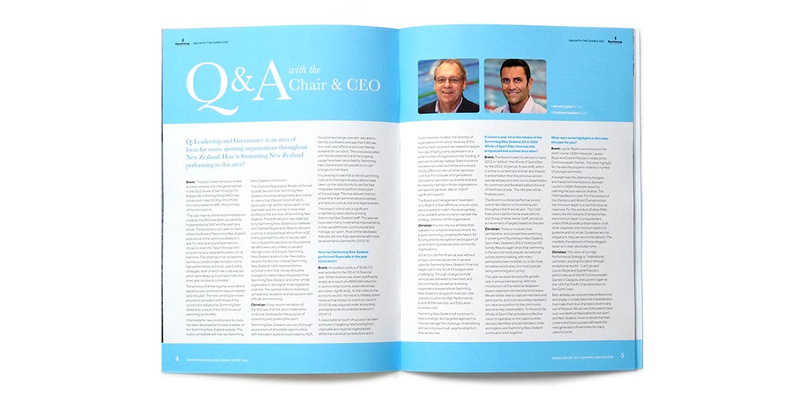 Q: Can we build on the success of last year’s annual report? 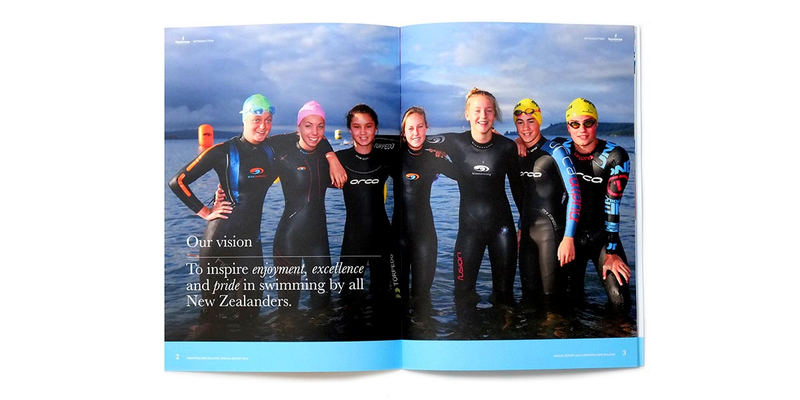 Swimming New Zealand is the national sporting organization that promotes and governs swimming and helps to ensure that every New Zealander swims to their potential. 2015 is their 125th AGM. 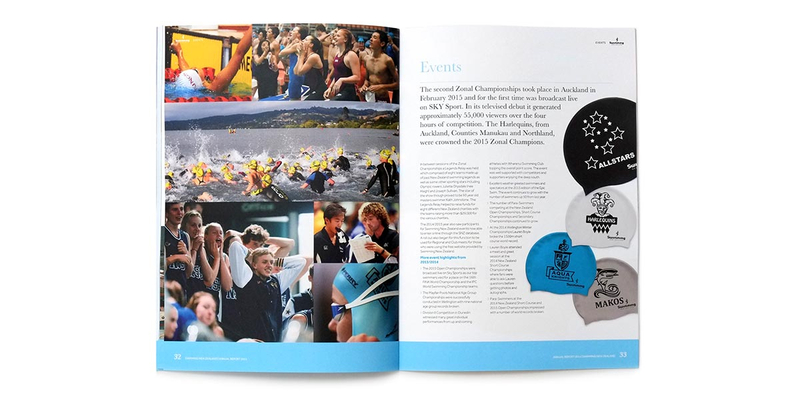 Angle’s annual report design paints a clear picture of where Swimming New Zealand is at, after a period of change both organisationally and across the sport – well established but still fresh, relevant and ambitious. 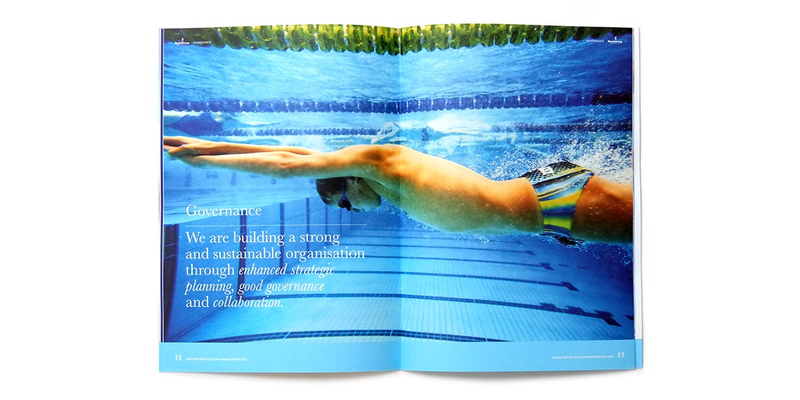 A bold, inspiring cover entitled ‘125 Years Young’ communicates the balance of the organisation’s lengthy history with fresh ambition. 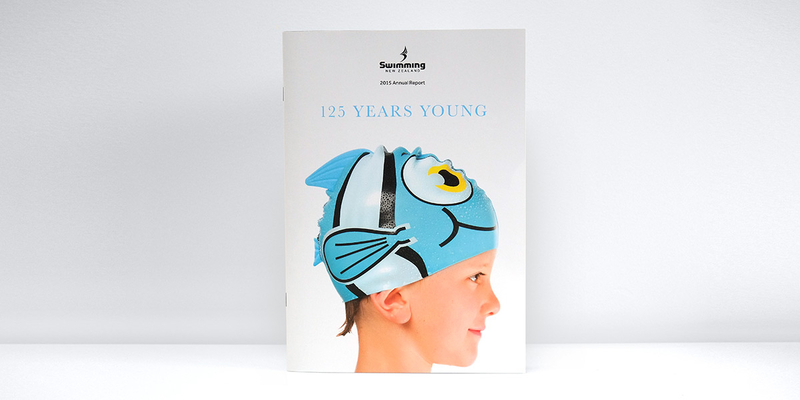 The young swimmer on the cover wears a novelty swim cap but looks to the future with intent. 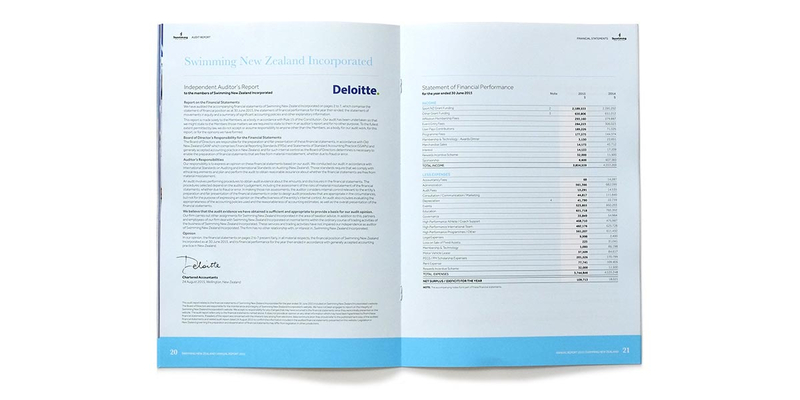 The 2015 annual report draws inspiration from the swimming cap theme established in 2014 and genuinely represents this great National Sporting Organisation and its skilled leaders.